With summertime in full-swing, it can be hard to find a moment to relax. The kids are running from one activity to the next, weekends fill up with family engagements, and all the while you’re worried about who’s taking care of mom today? It’s important to plan a schedule each week and stay organized so you don’t get overwhelmed. 1. Stay organized. It’s too easy to forget about doctor’s appointments, medications, children's after-school activities, and social events. Keep things in order with an appointment book or calendar to record important items. 2. Make time for everyone. Members of the sandwich generation often feel guilty that they are not spending enough time with either their children or aging parent because of their many duties. By designating specific times during the week for each person, you’ll know everyone is getting an equal amount of attention! 3. Don’t be afraid to ask for help. 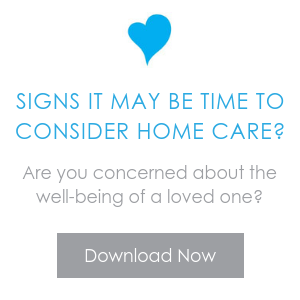 Nearly 10 million adult children over the age of 50 care for their aging parents. 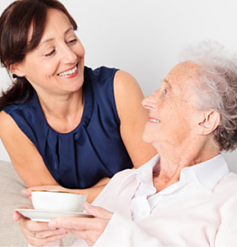 Seek the support of others in your community who are going through a similar situation or alternate days with a relative or professional caregiver like the ones at ComForcare Senior Services, to give yourself a break. 4. Get educated. Understand that while some behaviors can be changed, others cannot so learn as much as you can about keeping your expectations realistic. 5. Take time for yourself. Caring for another person, especially when it’s your aging mother or father or grandparent, can be emotionally and physically exhausting. Be sure to set aside some “me time” every day to do something just for you. This will help you stay positive, refreshed, and ready to help.